IE Business School - Master in Management | MIMs end up in Lisbon..
MIMs end up in Lisbon..
A month ago, I had a chance to go to Lisbon, Portugal. There was a bank holiday in Madrid, exactly on a Monday. So we thought we could spend more days than any other weekend. We had been planning this trip for quite some time. We decided to go on Friday night, taking a night bus to Lisbon. It would take us more or less 8 hours. We decided to go by bus because when we were looking at flights, it would have cost us almost 200EUR for return. It did not make any sense to spend that much money on a trip that is not even going to last for 2hrs. There were 9 of us in this trip. The second most important thing would be the accommodation. We wanted to try something new, AirBnB it is. After a long search, we did find a place that can accommodate us all. We spent a few days before our departure to start looking for recommendations from friends who had been there or from the internet about where to go and what to do. The good thing about AirBnB is that it is very strategically located. We stayed in Bairro Alto, the hip and trendy neighborhood with all types of bars and restaurants within walking distance. 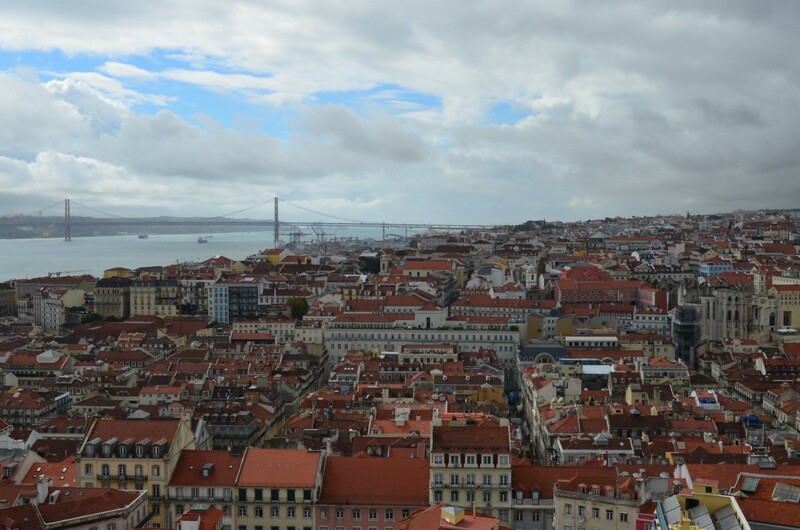 Lisbon is well-known for its sunny weather. But when we got there, it was super windy and rainy. But it did not stop us. 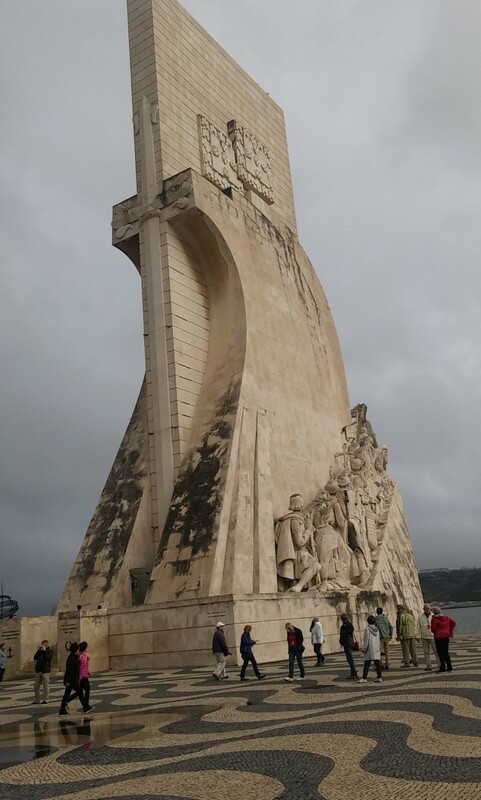 We went to visit the 25 de abril bridge, Padrão dos Descobrimentos, Belém Tower, Jerónimos Monastery, Praça do Comércio and São Jorge Castle. 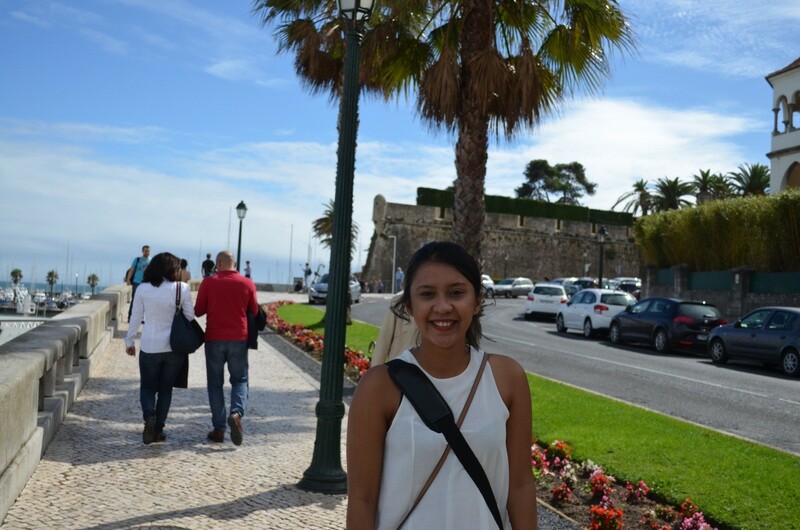 We even had a chance to visit a small town nearby Lisbon called Cascais, a coastal town 30kms west of Lisbon. It is known as one of the richest town in Lisbon. We could totally see that through the number of yachts parked in the marina and the beautiful houses and well-paved sidewalks. All and all, Lisbon stole my heart. It was a very beautiful city, despite the rain and the bad weather. It offers amazing food, night life, tourist attractions and good memories. I would totally come back sometimes in the future.